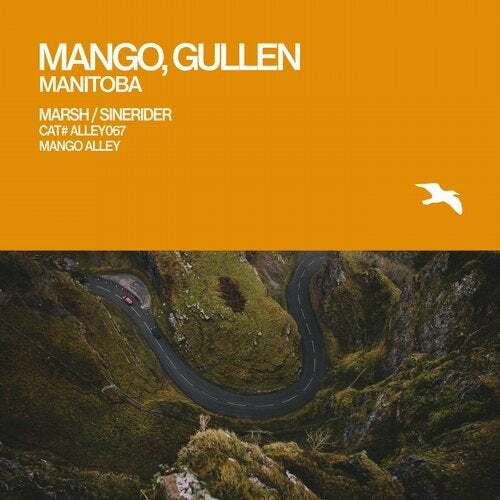 Through muted melodic undertones, Russian craft and Spanish flair take a harmonious voyage across prairie province as Mango and Gullen visualise "Manitoba" in sonic form. Windswept landscapes reveal abstract patterns across fields of corn, sunlit in glorious autumn technicolour. Whispering vocal phrases catch on the cool air, drifting in reverberating sound waves. Above and beyond, UK vision finds a pulsating edge in Marsh. Rasping bass pulses in waves across a golden glow. A sonic path forged within a mountain of glacial calm. Simple motifs vie for attention against soft vocal touches, harmonies filter out across the distance in arpeggio driven bliss; the mountain flora ripples under light breeze. Looking out over Brighton peer, Sinerider envisions "Manitoba" landscape. Sweeping textures create a world of majestic solitude – ethereal in nature, haunting by design. Disparate motifs rise and drop, barely heard as they tumble and fall against the cavernous reverb of a hard-edge mountainside, softened by the sonic washes that continue into eternity. Reflecting, refracting, soaking up the waves "Manitoba" warms the soul.